iRealHousewives | The 411 On American + International Real Housewives: Meet The Newest Real Housewives Of Cheshire Stars: Hanna Miraftab And Perla Navia! Meet The Newest Real Housewives Of Cheshire Stars: Hanna Miraftab And Perla Navia! The Real Housewives of Cheshire are returning to ITVBe this autumn, and the cast will be joined by two new cast members: Hanna Miraftab and Perla Navia will be added to the mix with returning stars Dawn Ward, Ester Dee, Lauren Simon, Rachel Lugo, Seema Malhotra,and Tanya Bardsley. 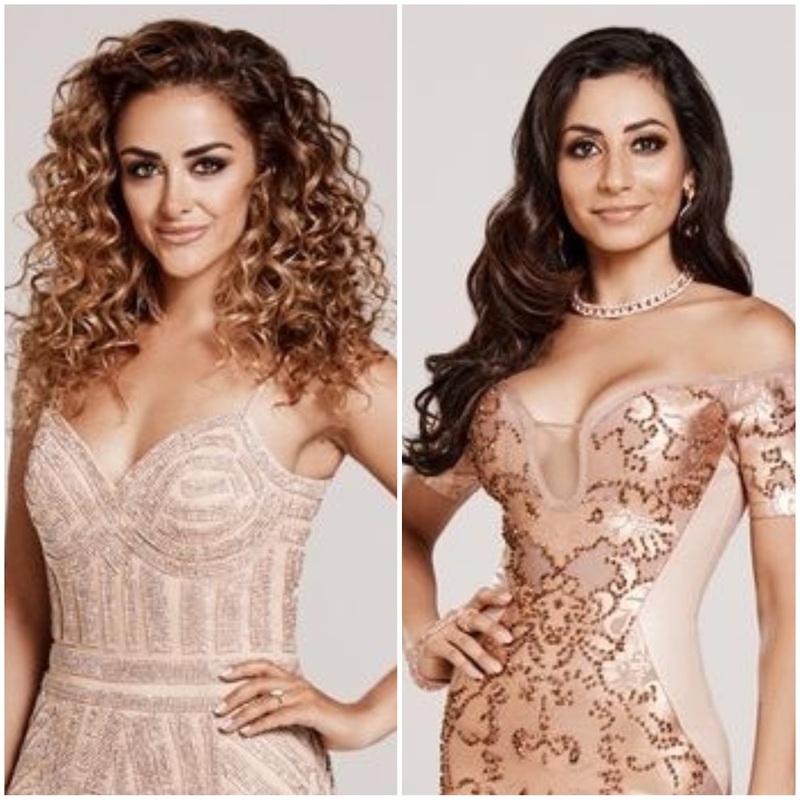 As we previously reported, Nermina Pieters-Mekic and Stacey Forsey along with last season's newcomer Christine McGuinness will all be returning as guests. Read on more details about the newest RHOCheshire stars below courtesy via The Sun! Hanna Miraftab, 30, is a cosmetic dentist and one of the new stars of the Real Housewives of Cheshire. She runs her own dental practice, Kiln Lane Dental, in St Helens, Merseyside, which specialises in cosmetic dentistry and facial aesthetics. Hanna lives with her fiancé and well-known Cheshire cosmetic and anti-ageing Dr Martin Kinsella. The couple got engaged earlier this year in New York and are planning a 2019 wedding. Martin appeared in Real Housewives of Cheshire series seven to administer a new form of anti-ageing facial to Lauren Simon at his Re-Enhance clinic. Iranian beauty Hanna, who describes herself as an alpha female, grew up in Bolton. Perla Navia is a yoga instructor with her own studio in Wilmslow. She is latina of Colombian decent. Perla, a “Latino vegan guru”, is married to self-made millionaire Jonathan and the pair, along with their children from previous relationships and their 12 year-old daughter together. Perla prides herself on being successful, self-sufficient and isn’t impressed with women marrying for money. The Real Housewives of Cheshire returns later this year on ITVBe.